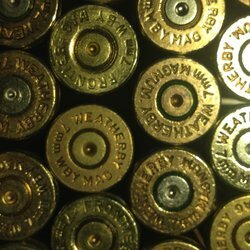 7MM Weatherby MAGNUM Range Brass - 25 count. 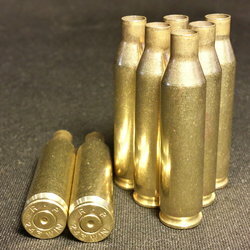 I ordered 2500 .45 ACP brass tumbled. They arrived in less than a week and I was extremely pleased with the quality of the brass. Out of the 2500 I tossed about 75 small primer brass and maybe a dozen with some type of defect to where I did not want to reload it. The remaining brass looked and reloaded great. For the very reasonable price I paid for these brass, I am very pleased to only have found less than a hundred that were unsuitable. I will definitely be a repeat customer for DiomondK! I've bought several thousand assorted handgun and long gun brass from DKB and never had a problem of any sort. The Brass is excellent, the service is better. That's why I keep coming back. Have ordered several times from DKB and have NEVER received anywhere near the quantity ordered - it is ALWAYS MUCH more. DKB had a "special" recently for 45 extra for quantities of 1000 ordered. I misread, didn't read and asked for the 45 extra for 500 ordered. Actually received 615 on order of 500. Have always received TOP NOTCH service and shipping. ALL my brass purchases are from DKB - no exceptions!! Very fast shipping. Did just like they said, emailed order conformation, and then shipping conformation. However, as specified, the brass was mixed headstamp. Very mixed. I sort by headstamp, and out of the 1005 useable cases (bought 1000), I only got 550 in boxes of 50. There were like 21 different headstamps. I will not load near max in mixed cases, and I load my lead practice rounds to simulate the power and point of impact of the premium personal defense loads. Ok deal if only you just need blasting brass fast, as almost half of the order is only good for informal target practice, not drills.